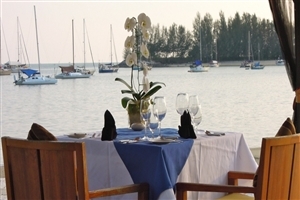 A renowned landmark of Langkawi’s pearlescent coastline, The Danna Langkawi is a sublime five-star luxury resort. 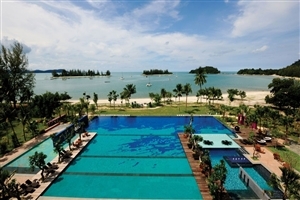 Fringed by the beautiful white sands of a private stretch of beach and flanked by the lush hills that rise behind the resort, The Danna Langkawi is a showcase for elegance, style and quality in Malaysia’s most popular resort region. 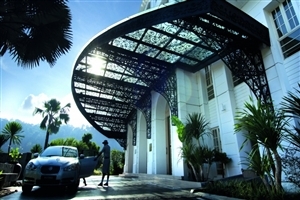 Inspired by Malaysia’s colonial heritage, The Danna Langkawi boasts a vast choice of lavish accommodation, while facilities available include the Danna Spa and six bars and restaurants. Proudly looking out over the calm, shimmering Andaman Sea, The Danna Langkawi is a respected landmark of the Malaysian island of Langkawi. 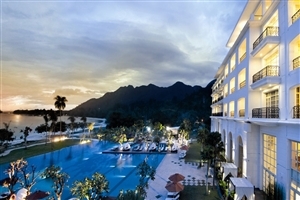 With its bold, ivory façade glancing across a vast infinity swimming pool and the Andaman Sea beyond, The Danna Langkawi offers exceptional five-star elegance and sophistication. Fringed by the silver sands that make this island such an attraction to many new and returning holidaymakers each year, The Danna Langkawi is inspired by its colonial heritage, with authentic décor and peerless quality evident in each guestroom and suite. 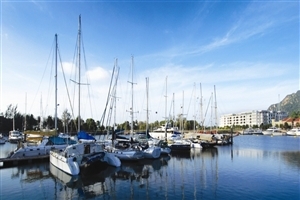 Excellent amenities include the Danna Spa and the option to partake in watersports at the nearby beach, while corporate guests will find favour with the excellent business facilities. 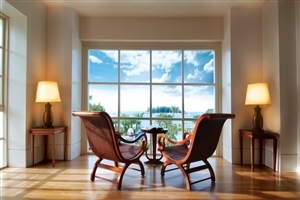 The Viceroy Sea View Room at The Danna Langkawi offers a king-size bed or twin beds, a walk-in closet and a private balcony looking over the three-tiered swimming pool and Andaman Sea. 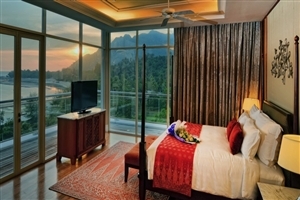 The Grand Merchant Room at The Danna Langkawi offers a king-size bed, 70sqm of accommodation space and a view over the hills and mountains. 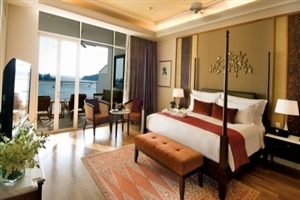 The Grand Viceroy Marina View Room at The Danna Langkawi offers a king-size bed, 75sqm of accommodation space and a private balcony overlooking the beautiful marina. 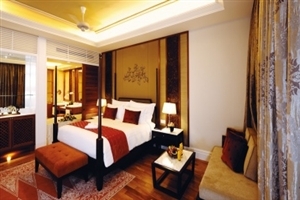 The Grand Viceroy Top Floor Sea View Room at The Danna Langkawi offers a king-size bed with luxury bedding, 75sqm of accommodation space and a private balcony overlooking three-tiered infinity pool and Andaman Sea. 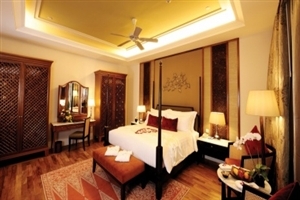 The Countess Suite at The Danna Langkawi offers a king-size bed, 110sqm of accommodation space, a large living room, a Jacuzzi bathtub and two balconies overlooking the Andaman Sea. The Duchess Suite at The Danna Langkawi offers a king-size bed, 110sqm of living space, a private plunge pool and a spacious terrace overlooking the Andaman Sea. 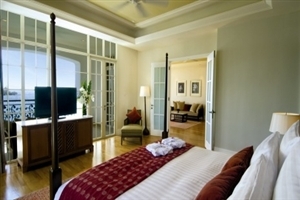 The Royal Imperial Suite at The Danna Langkawi is a vast 600sqm suite with a four-poster king-size bed in each bedroom. 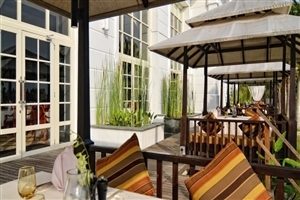 Uniquely decorated in colonial inspired furnishings, the Royal Imperial Site includes a living area, dining room, a private pool, steam room, Jacuzzi and even a gym. Whether you are treating yourself to a pampering day in The Danna Spa, or maintaining your exercise regime in the Danna Fitness Centre, The Danna Langkawi guarantees you high standards of service and quality.